Thinking About Moving Archiving to The Cloud? NewsThinking About Moving Archiving to The Cloud? Email is a critical tool and source of information for organizations today. Now more than ever, email is the key repository for correspondence with clients, partners, and suppliers, and they may contain information such as quotes and orders. Given the importance of the information contained in emails, being able to retain, find and retrieve them is imperative. Email isn’t going anywhere. According to Radicati Group, the number of emails sent and received per day totaled over 215 billion in 2016, with this number expected to grow at an average annual rate of 4.6% over the next four years, reaching 257.7 billion by the end of 2020. In 2017, organizations continue to implement cost-cutting measures in data centers, with one of the obvious opportunities being cloud storage. Another area that CIO’s continue to focus on and improve is Email Archiving – which has been trending from on premise to cloud based in the past decade. Archiving solutions were originally designed to help organizations address the growth of email in Exchange by moving the data off to a secondary system (mailbox management.) The benefits initially were better performing email servers and reduction of storage costs since archived data can be stored at a lower cost. A much larger driver was introduced in 2002 when the U.S. Securities and Exchange Commission fined five firms a total of $8.25 million for not properly monitoring and capturing their e-mail traffic. What followed was legislation (SEC Rule 17a-4) requiring regulated companies to be in compliance with the rules set forth by the SEC around retention and search capabilities. This was mainly focused on financial institutions including banks and broker-dealers, but definitely increased the awareness and the need for email archiving. In 2006, the Federal Rules of Civil Procedure (FRCP) were amended to be inclusive of Electronically Stored Information (ESI). From a technology perspective, the new rules were focused primarily on retention, search, and production of electronic evidence. Where regulatory compliance was a mandate, FRCP was seen more or less as guidelines. According to Gartner, by 2021, over 35% of email archiving for regulatory compliance and retention management will be done through the native email platform, up from 10% today. Cloud Email Archiving provides organizations of all sizes with an affordable and scalable archiving solution with search and retrieval capabilities. Over the past decade, this option has become complementing, and hence more attractive to CIO’s existing cloud strategies, as a fixed cost per user via a simple monthly subscription makes budgeting and planning easier. In addition, migrating your email data into the cloud allows companies to reduce storage and maintenance costs, reallocate or eliminate servers, and trim costs associated with retrieving email. Although the need for on-premise archiving solutions is still very much relevant in the market, however, with the cost of hosted solutions dropping, migrating to a cloud-based solution will continue to be the dominating trend. The TDS team has performed hundreds of archive migrations. Comprised of early industry pioneers with more combined hands-on experience than any other group, TDS understands that migrating your data from an on-premise solution to a cloud-based solution isn’t easy nor part of your IT department’s everyday responsibilities. TDS offers both a managed service as well as a software license solution primarily focused on migrating on-premise archives to cloud-based solutions. Our solution suite is designed with the ability to migrate virtually any existing archive to one of our many supported partner platforms. Our proprietary tools track each object through the migration process to ensure that both the proper chain of custody and data integrity are maintained. 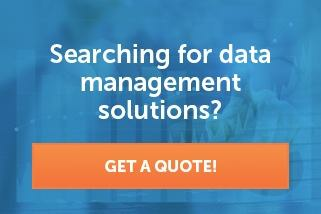 Learn more about Trusted Data Solutions Archive Migration Services and contact a TDS representative today!